When you have a question regarding a given page, it's generally better if you just bring it up on its talk page. For instance, your question here, regarding Ash's Fletchinder, properly belongs on Talk:Ash's Fletchinder. It looks like you've taken Force Fire's request above that you "sign" your comments at the end to mean just putting your name at the end, with "--Christian". Actually, what he meant was that you should be putting the four tildes (~~~~) at the end of your comments instead of at the beginning. I am excited for the Hoopa event for the United States. Out of curiosity, why is the event going to be at McDonald's instead of GameStop? I have a great fact to add to the trivia of Ash's Talonflame. 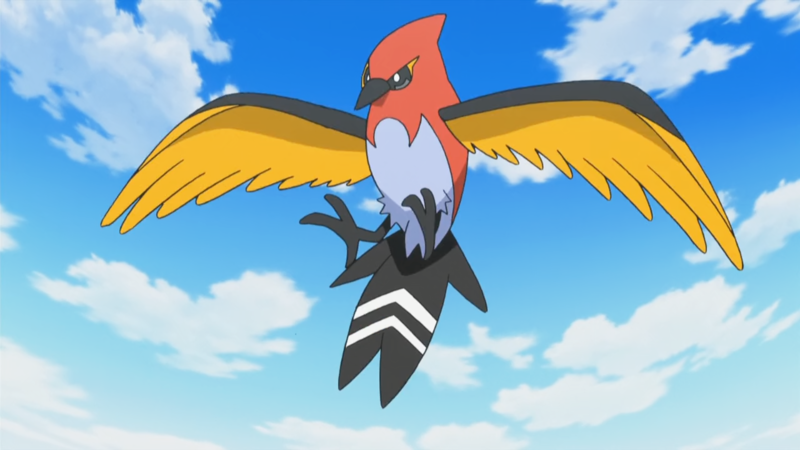 Talonflame is Ash's second Fire/Flying-type Pokémon. The first Pokémon Ash has with that type combination is Charizard. I feel this is an important note because Ash never caught any other Pokémon other than Charizard with that type combination. This should not be removed because it is the truth. Christian (talk) 21:04, 20 November 2015 (UTC) I feel this trivia fact in the anime is important and should not be deleted please. Charmander is the only Kanto starter that was not obtained or caught by May. May only got Bulbasaur and Squirtle, but not Charmander. She does have a Fire-starter, but it is from "Hoenn" not Kanto. Christian (talk) 02:06, 21 November 2015 (UTC) Thanks. This page was last edited on 12 May 2016, at 23:51.